Nothing is bad but they have to improve English in the college because the one and only problem who are studied in Jamal Mohamed college even i also faced is spoken English they have to improve the spoken English compulsory for every student. If i want to tell about the good things about the college means the will be so long the only bad thing we found is. to increase the facilities like buildings management cuts lots of trees inside the premise.this will affect the cool atmosphere. 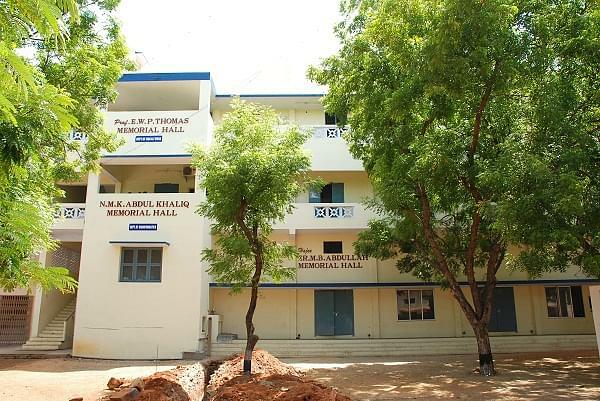 Jamal Mohamed College, administered by the Society of Jamal Mohamed College, is established in a sprawling land area of 87 acres, as a religious minority institution, with the primary objective of providing higher education to the downtrodden and socially backward sections of the society in general and Muslim minority in particular. 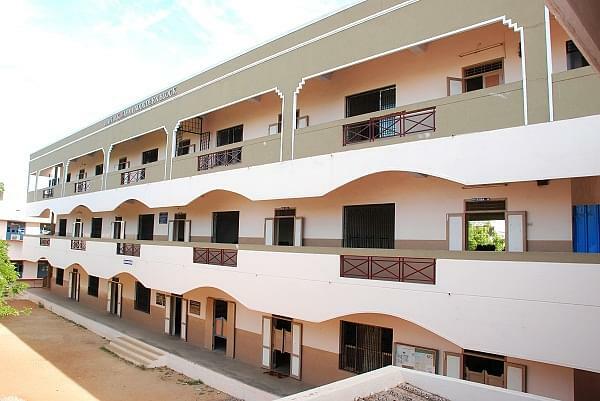 The college is accreditated at 'A' grade by NAAC with CGPA of 3.6 out of 4.0. 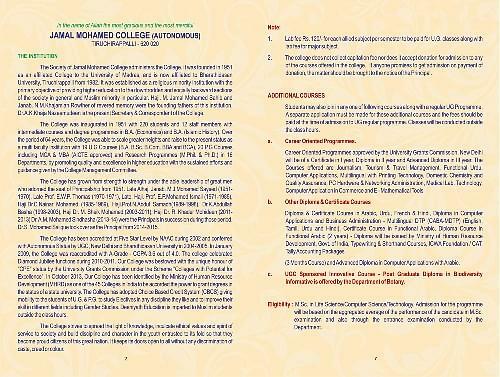 The college has been identified as the "College with Potential for Excellence" by the UGC. 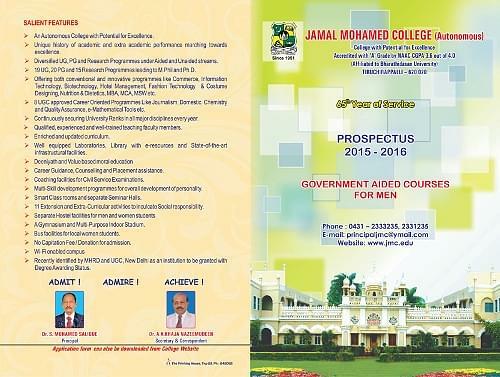 Why to join Jamal Mohamed College? The University is organizing University Student Service Corps (USSC), with a special focus on personality development of the students and harnessing student power in vital areas of social concern like environmental protection. Entrepreneurship Cell- the Cell organizes several entrepreneurship awareness programmes; guest lectures by successful entrepreneurs; various workshops and seminars for the aspiring entrepreneurs and supports them by providing necessary resources such as seed funding, mentoring, consultancy and networking. 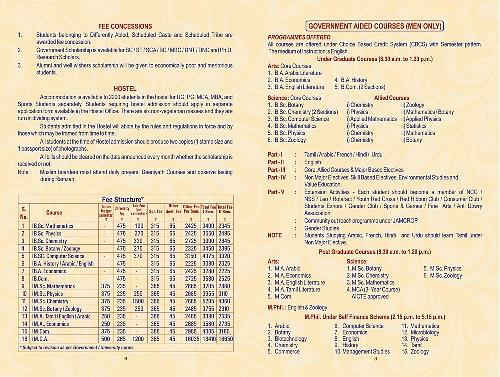 Hi Ayyanar, This College does not provide this course. Msc food science course available. Hi Rahel, This College does not provide this course. Hi Ismail, to know about the job assurance after doing BCA, please contact the college. 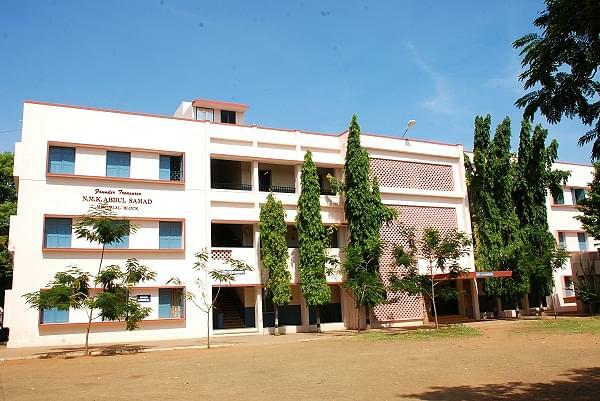 I choose this college because of it teach us studies and arabic classes like deenyath and more. its so clean and the admoshpere is so good. 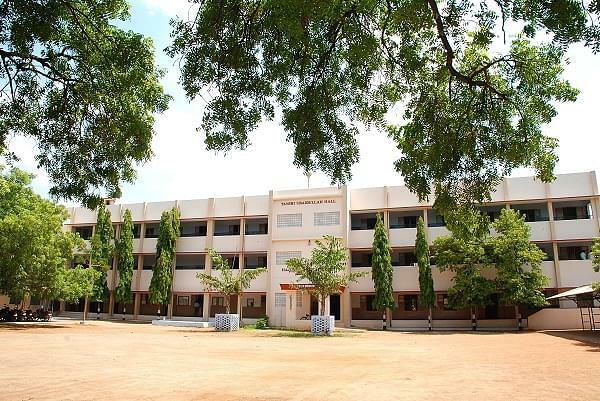 this college is my best memorable. i choose with my friend who where studying in this college. I have wrote CAT exam- I have scored 7.5. i got offered different colleges but i'm only selected this college and they have conducted the interview and than select the candidate. 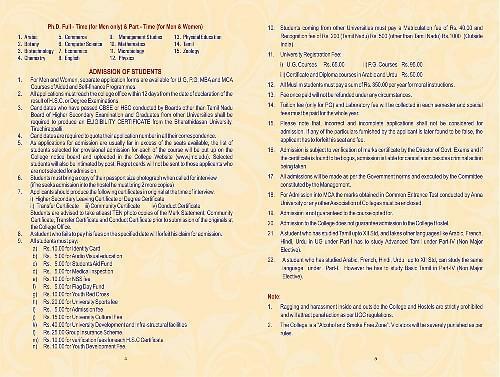 TANCET entrance exam this entrance exam has been conducted by the tamil nadu government this exam is for 2 categories one is for management of business administration and another one is for master of computer application.